Based on Monty Oum's series RWBY, delve into the alternate world created and onto the land of Vytal - go on missions, and make new friends. Good, bad - Hunter, rebel - In a world of Grimm, where are you aligned? 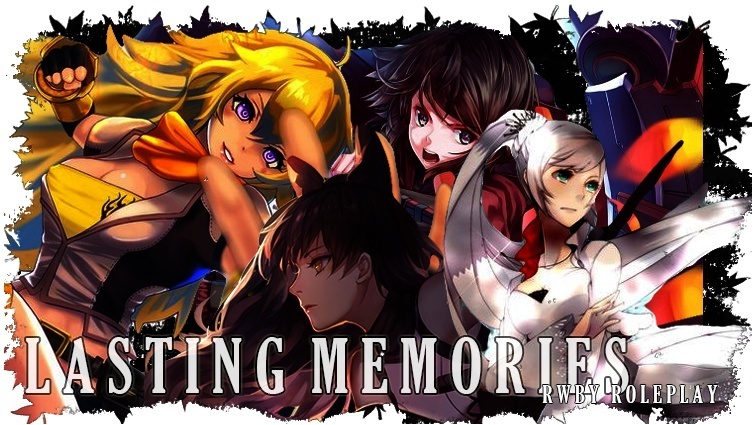 RWBY Roleplay is a community that welcomes all RWBY fans to join and discuss about RWBY or discuss other anime/mangas you are interested in. We accept roleplayers of all levels. It has been a while. I was hoping that I could make the site start up again by it's 1st birthday, but that didn't work out. Sorry for that. We're moving! Instead of revamping the whole site, we are moving to a new one, this time on proboards. (I apologize in advance if you are trying to read a thread you participated in but found that it has been deleted) The new site is still under development. So, if you are interested and want to get more information on the site like the progress on that, just send a pm to me. If you are looking for a thread or any threads had been deleted, just send me a pm as well. » Notice me I'm the guy who screwed up spelling crimson! RWBY© belongs to Monty Oum of Roosterteeth Productions. Artwork sketches for RWBY have been created by Kristina Nguyen. Any creations, posts, ideas, or otherwise content from this website are copyrighted to their owners and creators. No information may be taken or used without said owner's explicit approval, with exception of situations listed in the terms of service and rules which are subject to change without warning.